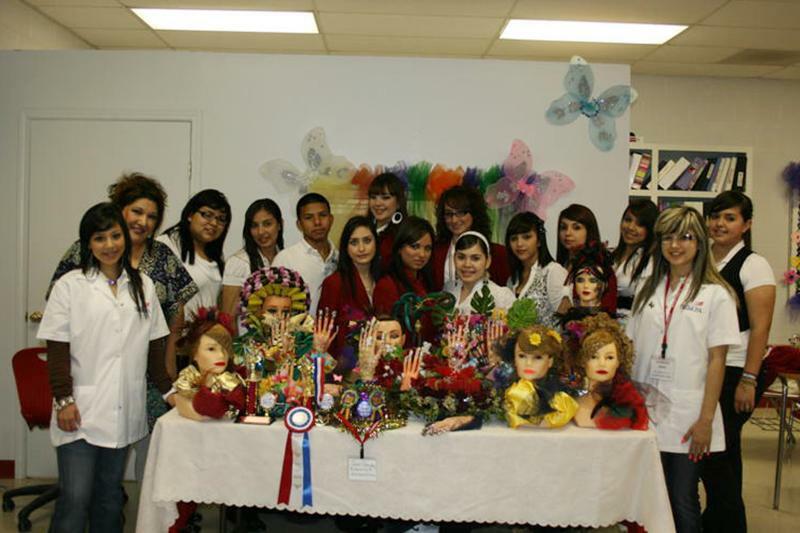 Rio Grande City High School Cosmetology program participated in the Skills U.S.A. Competition in Harlingen, Texas on Saturday, March 19, 2011. Mrs. Limas (Instructor) would like to congratulate her students for a succesful turnout at the competition. The students that placed first in their projects and also Best in Show are Nailart Vereniss Deleon (4th Cosmetology Skills), and Damaris Nava (5th out of 35/Esthetics). Congratulations Rio Grande City High School Cosmetology Class for a job well done. Pictured left to right are; Larissa Cardoza, Mrs. Limas (Cosmetology Instructor), Yesenia Guajardo, Cindy Lopez, Juan M. Gonzalez, Yesica Saenz, Catherine Barrera, Vereniss De Leon, Grisel Lopez, Delinda Lopez, Judith Salinas, Laura Alanis, Denisse Flores, Eleny Alanis, Alejandra Garza. Not Pictured are Yesenia Cruz, Stephanie Escobedo and Damaris Nava.